The new language of your business? Just a few short years ago, The Peoples’ Republic of China was seen as simply the workhouse of the world. Double-digit economic growth over the last decade has assured China’s status as an economic super-power and transformed the country. The international rise of Chinese domestic companies such as Huawei Telecommunications and Mindray Medical is only part of the story. Chinese companies are highly acquisitive as evidenced by their purchase of luxury western brands such as British yacht-maker Sunseeker International and joint ventures with the likes of Jaguar Land Rover. Some commentators are predicting a sharp increase in Chinese M&A activity with the purchase of overseas companies expected to double in next few years. 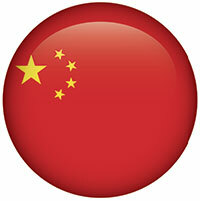 When it’s time for your company to do business with China, we’re here to help. Mandarin is the most spoken language in the world with roughly 850 million speakers and a further 180 million Chinese people who speak Mandarin as a second language. Historically, China has always consisted of widely differing dialects, meaning a common tongue or lingua franca has always been a necessity. Both the Ming and Qing Dynasties acknowledged this need and began to use the term Guanhua (official speech) to promote a language standard. This prestige dialect was initially based on the Nanjing dialect but was soon replaced by the Beijing dialect, due to the growing influence of Beijing. The Qing dynasty set up Orthoepy Academies during the 17th century in an attempt to make pronunciation throughout China conform to the Beijing standard. These attempts had little or no success and even by the 19th century, the emperor struggled to fully understand ministers in his own court as no standard pronunciation was being followed. Regardless, the Qing dynasty decreed the Beijing dialect as guóyǔ (national language) by 1909, in spite of the lack of uniformity across China. After the establishment of the Republic of China in 1912, there was greater success in properly implementing a common national language. The newly created Commission on the Unification of Pronunciation stuttered at first with arguments between promoters of northern and southern pronunciation. By 1932, a consensus was reached and the Vocabulary of National Pronunciation for Everyday Use was published. This dictionary normalised pronunciations for all characters into the Beijing dialect. The People’s Republic of China, established in 1949, continued fully with the programme of standardisation. Through the education system, which is exclusively conducted in Mandarin, the language has become firmly entrenched as the lingua franca throughout China. 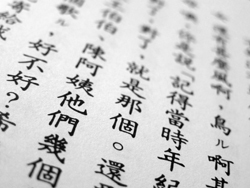 During the 20th century, Mandarin has undergone some fundamental changes. The most striking change was the removal of all honorifics from the vernacular. The writing system of Mandarin, like all Chinese writing systems, is based on a set of logograms called hanzi that have been unchanged for over 2,000 years. It is possible to create new symbols for new words; it is more common to use old characters that are no longer in use. Hanzi constitute the oldest continuously used writing system in the world and due to their use in the writing systems of Japan, South Korea and Vietnam, it is also the most widely adopted writing system in the world. Mandarin is a tonal language; the pitch or intonation in which a sound is spoken changes the meaning. In Mandarin there are four basic tones and a fifth neutral tone. There is a complete absence of tenses, plurals, cases or genders in Mandarin grammar. Reading Mandarin can be incredibly challenging with knowledge of thousands of characters needed to attain any sort of proficiency. Due to the removal of honorifics from Mandarin, the proper use of titles when addressing people is given great importance. FAQs: Do I need a Cantonese translation or a Mandarin translation?